Join us for Synesthesia, an event that combines two of life’s great pleasures – art and wine! 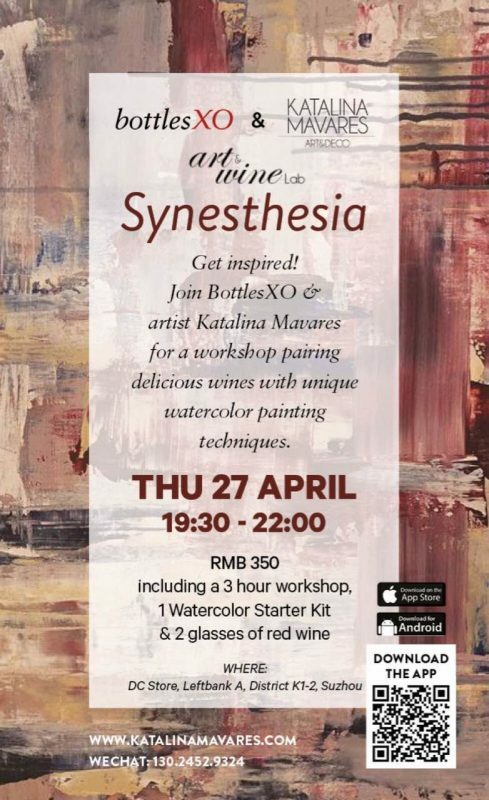 We’re collaborating with artist Katalina Mavares for a workshop that pairs delicious red wines from BottlesXO with a class in unique watercolor painting techniques. Tickets are RMB 350 including a 3 hour workshop, 1 watercolor starting kit and 2 glasses of red wine. To see our selection of red wines and more available for delivery now in Suzhou, download the BottlesXO app here.